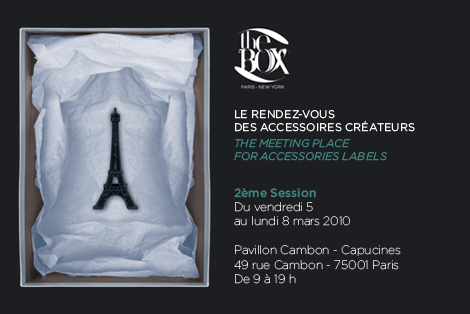 we're going to exhibit our latest collections at the box in Paris from 5th to 8th in coming March. Please come to visit our booth, the booth number will be posted to this blog when fixed. And, for the appointment, please e-mail me at kaori@e-coincidence.com. or if you're in France, Mode In Press is our Press office in France. Please also e-mail me above to let you know the contacts of Mode In Press.